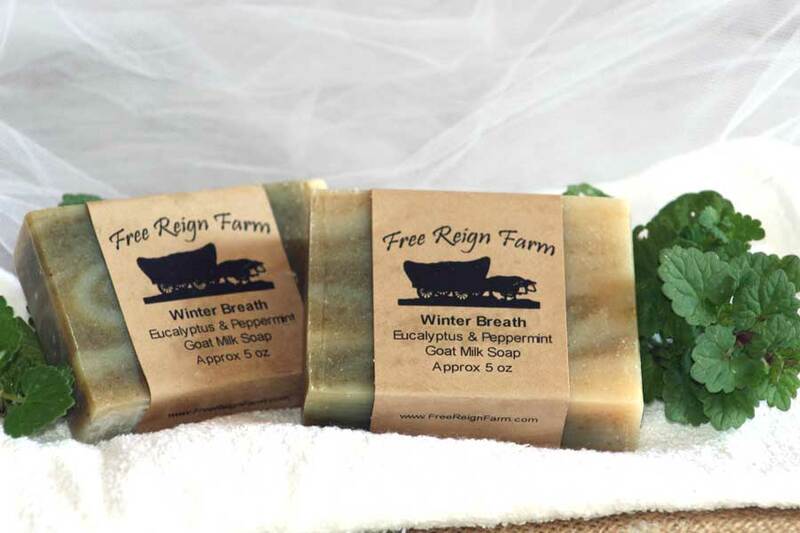 Winter Breath Goat Milk Soap has an invigorating aroma of eucalyptus and peppermint which is excellent for those winter time sinus headaches and stuffy noses. 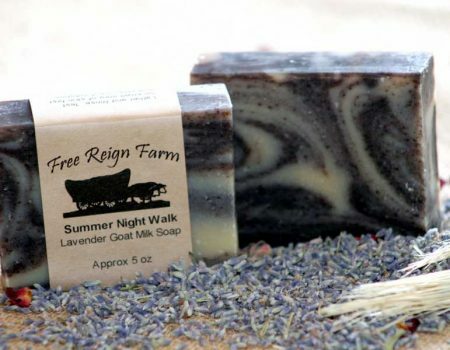 This is also an athlete’s friend in the summer as well – peppermint and eucalyptus are essential oils which have a cooling effect much like a refreshing winter breeze in the shower to chase away the summer heat! 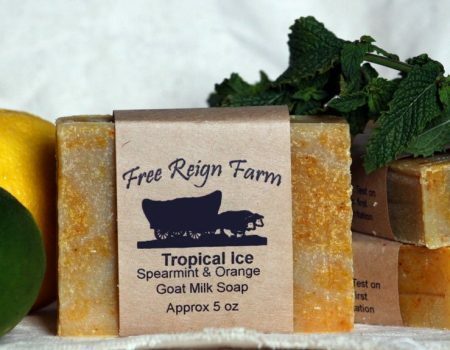 You don’t want to be without this soap all year long! 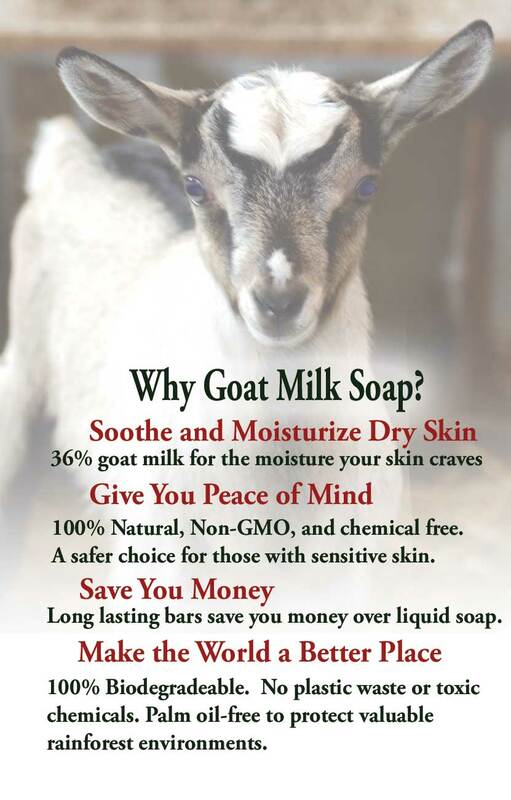 A truly invigorating eucalpytus goat milk soap. 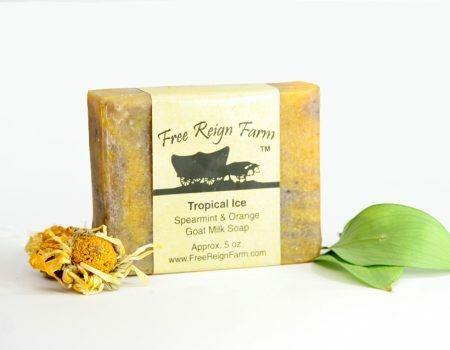 Ingredients: Goat Milk, Saponified Lard, Coconut Oil, Olive oil, Eucalyptus & Peppermint essential oils, alfalfa. 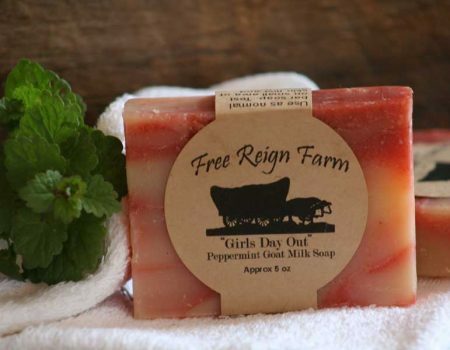 Please Note: Our eucalyptus and peppermint goat milk soap is all handmade which will result in natural variations in size, shape, and color from batch to batch. We think it adds character! Goodness knows there were a lot of “characters” who had a hand in making – just ask Ethel the goat! I bought a few soaps at the Autumn Leaves Festival and completely love them. 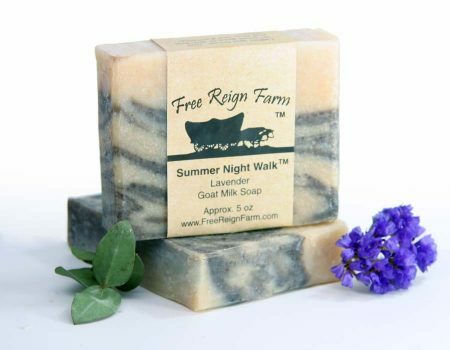 They all smell wonderful, which is why I bought them, but after using them, I don’t think I can ever go back to store-bought soaps. They make my skin feel softer and cleaner than store-bought soaps and body washes, and on top of that, they work great on hair too. I’ve had a dry/itchy/flaky scalp since I was a kid. Over the years, I’ve tried various dandruff and psoriasis shampoos, some of which helped a bit, but nothing made much of a difference. I noticed after washing my face with the goat milk soap that the flaky areas near my hairline were going away, so I decided to try it on my scalp. Not only did it help my scalp, but my hair looks a lot better as well. It no longer gets greasy and flat between washes and it’s soft without needing any conditioner. I am now a huge fan and will definitely be buying more. 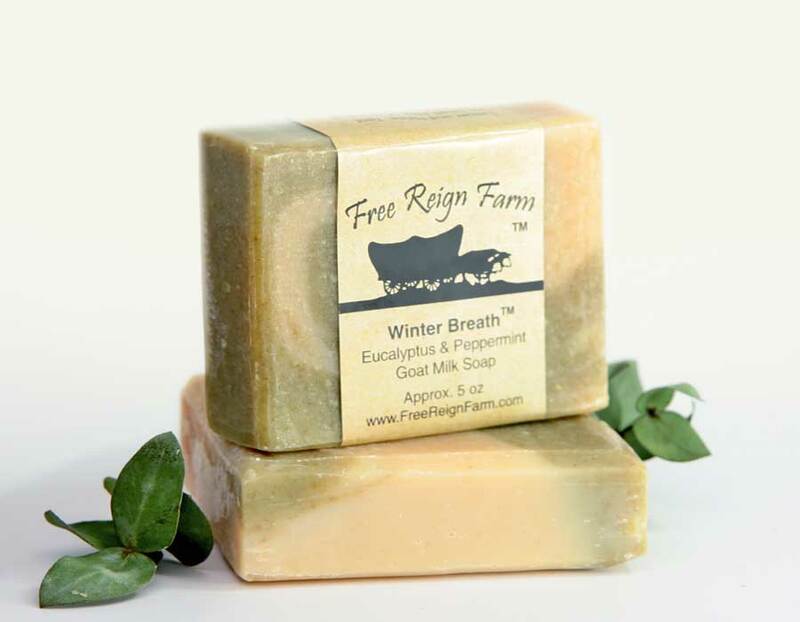 Love this soap. 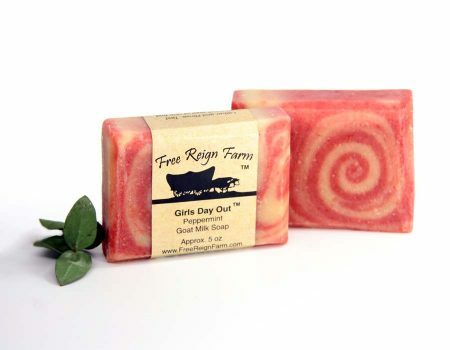 I am really amazed at how well my skin has done using this soap. 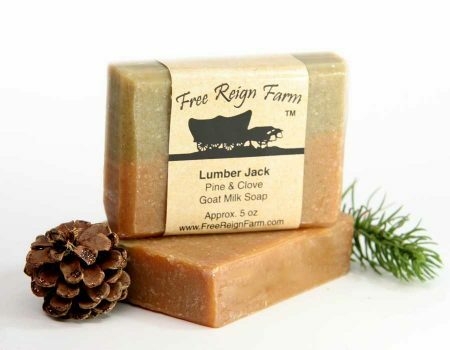 I normally have problems with many soaps that I have tried, however this soap was awesome. Have ordered more for my own use. Recommend this soap for all.